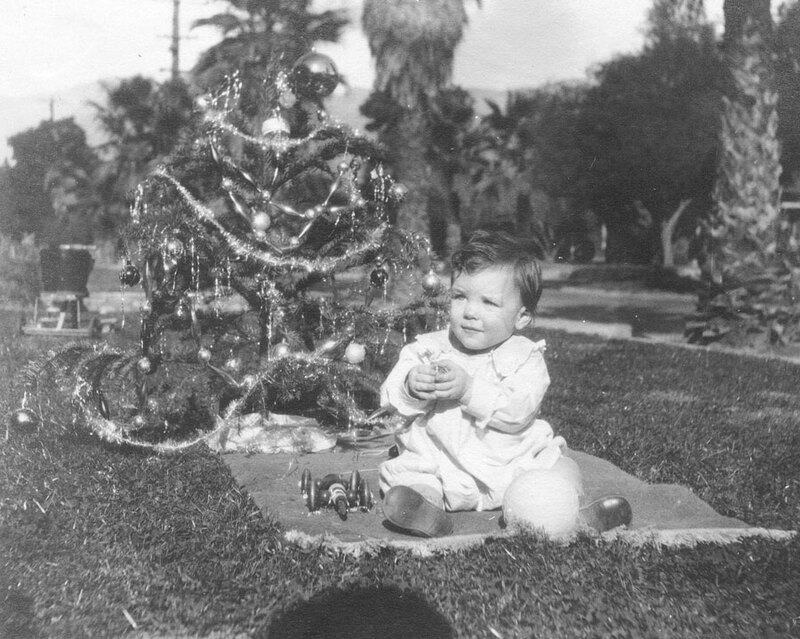 Linus Pauling, Jr.’s first Christmas, 1925. [As an undergraduate] at Pomona…I was serving dinners to some of my classmates, these big trays loaded with plates. They were prepared in the kitchen and carried out and distributed around. So I was pretty good at that. Anyway, in the dining hall – which was the famous Frary Dining Hall at Pomona which has a huge Roscoe painting of Prometheus which is famous in art circles – the dining room brought in a beautiful Christmas tree about twenty feet high with delicate pine cones on the branches. So my ’32 Ford Roadster had a windshield that would fold down flat against the hood. I drove up to the dining room, got the tree, laid it out across the car – and you know it was longer than the car was – and beside me in the passenger side with the windshield down, drove back to Pasadena with this tree on my car and set it up in the living room in the Fairpoint Street house. The living room there had ceilings that were about twelve feet high which was pretty good, but not quite good enough for this tree. I had to chop off some of the top and some of the bottom to get it to fit, but it was probably the most magnificent tree they ever had in there. The traditional Christmas was that, when I was a kid, the household would go on absolutely normally through Christmas Eve with no sign of any particular holiday spirit. Then somehow, on Christmas morning, I’d wake up and here was the tree fully decorated with the lights and presents and so on. I wondered how this happened. Finally, when I was six or seven, I got old enough to realize that somebody had done all this and then I became party to the adventure. It turned out that on Christmas Eve, my father would go out late in the evening. By then, all of the itinerant Christmas tree salesmen had left, leaving their leftover trees in the lot to be thrown out. So we’d roam around Pasadena looking at all of these trees in these now-deserted lots and find one we liked, take it, put it on the car, and drive home. Then there’d be frantic activity through the night to put on the lights and the decorations, the ornaments, and bring out the presents for the younger siblings to wake up and be amazed at. So the same thing, I presume, happened to them to the right level. All that came to a halt finally, probably with Crellin being old enough. That was really exciting and one of the fun parts of Christmas. I never followed that with my own children. Christmas got going early and they were exposed to it for a longer time. The tree stayed up until after New Years. It was too nice, too beautiful, to think about taking down right away. This is our last post for 2014 – see you in January! 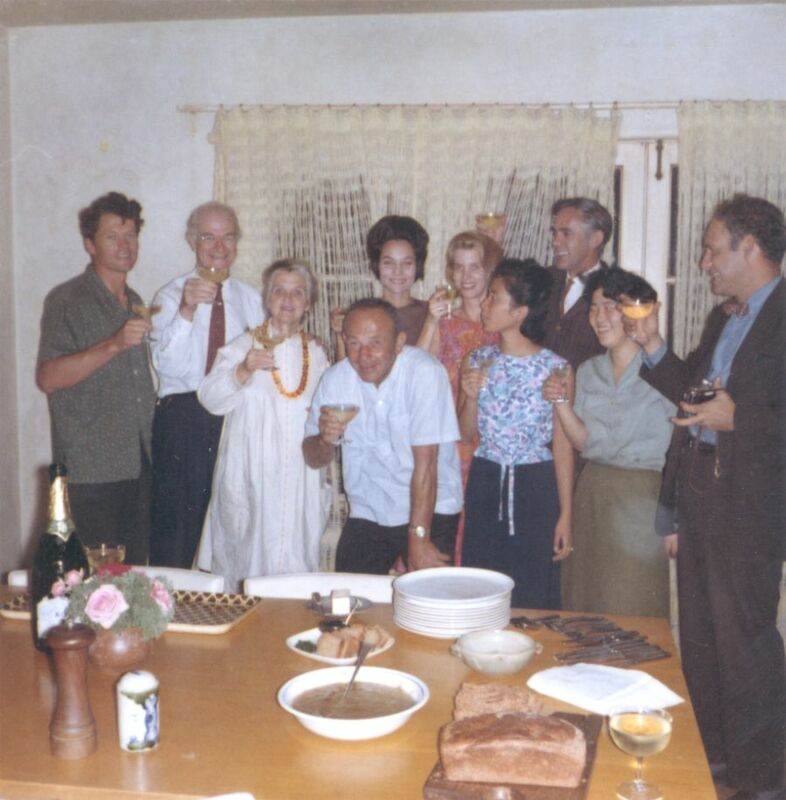 Celebrating with friends, December 1963. 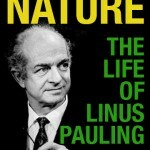 While letters congratulating Linus Pauling for winning the 1962 Nobel Peace Prize continued to pour into his office early in December 1963, the debate in the press over whether Pauling deserved the Nobel had begun to cool down. 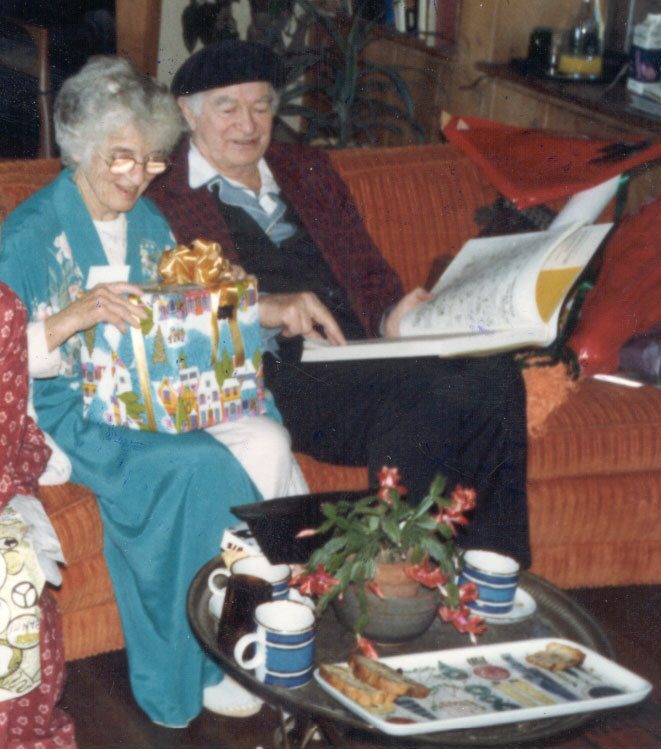 Meanwhile, closer to home in southern California, friends and colleagues of Pauling and his wife Ava Helen honored the pair for their activism at several events. It is, of course, entirely possible that something else was in play with respect to Pauling’s refusal to speak at Caltech. 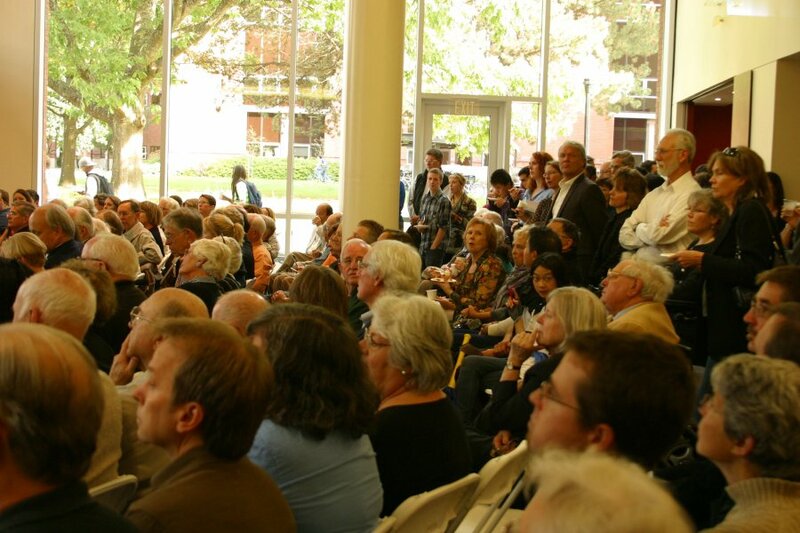 Much has been made of Caltech’s official non-response to Pauling’s Nobel Peace award. 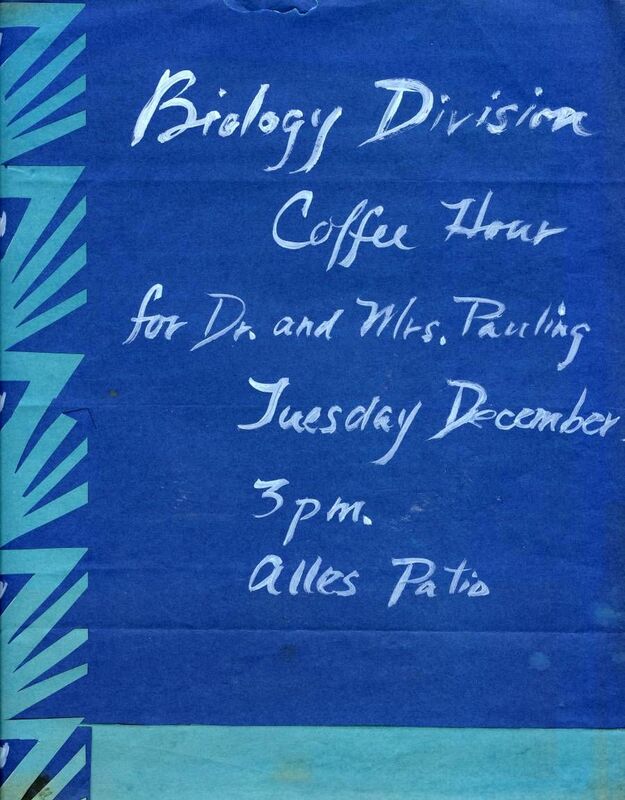 Indeed, the only recognition that occurred at all on the Pasadena campus was a small coffee hour hosted by the Biology Department. The fact that his own department, to say nothing of the larger institution, chose to ignore this major decoration was deeply hurtful to Pauling. 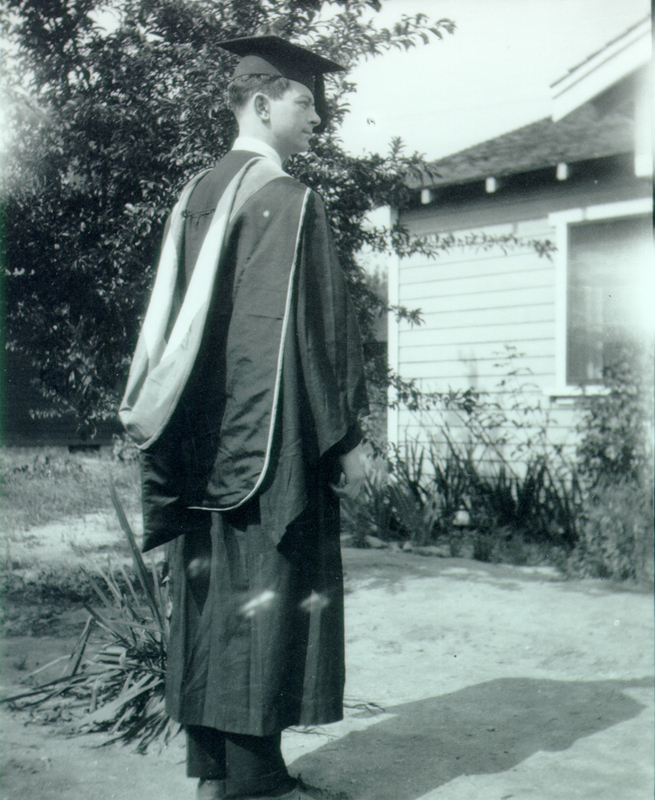 By December Pauling had already announced his departure from Caltech, his academic home of some forty-one years. 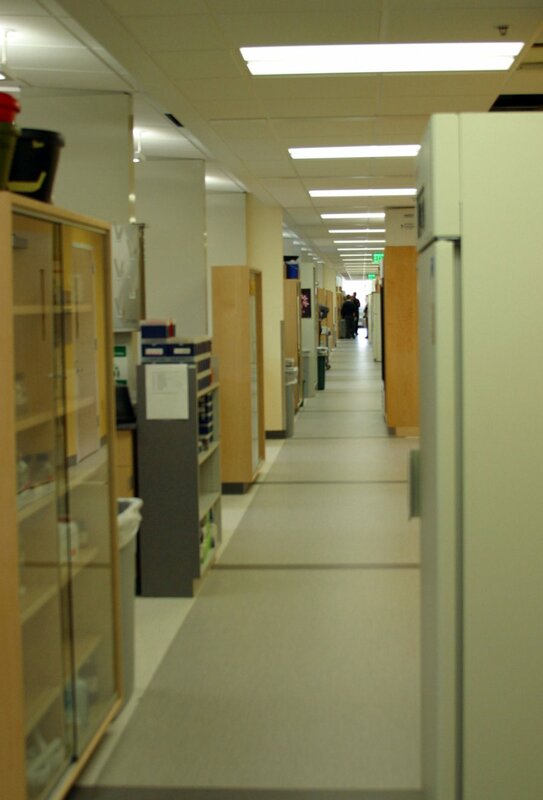 But the cold shoulder that he received from all but the Biology Department was suggestive of tensions that had been mounting for some time and proved a fitting, if bitter, capstone to this unhappy phase of his relationship with the Institute. Three Linus Paulings. 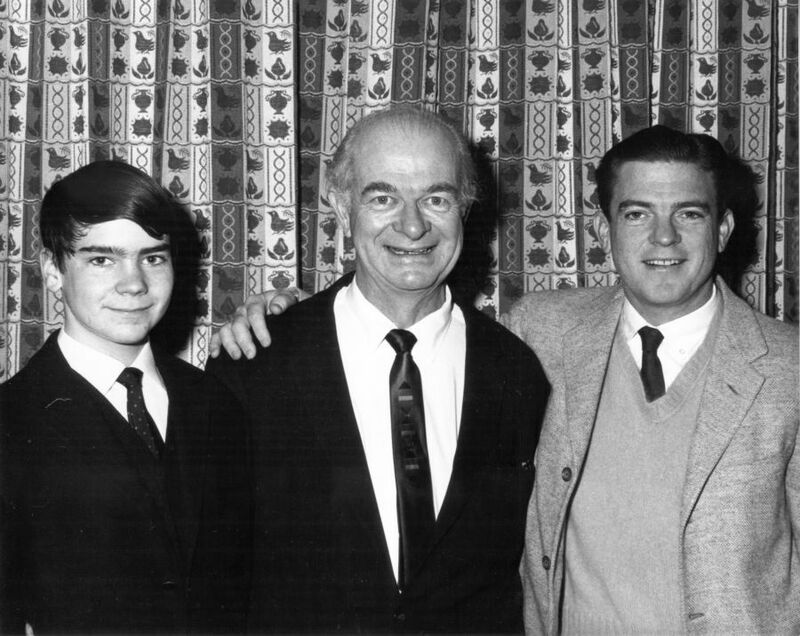 From left, grandson Linus Fowler Pauling, Linus Pauling and Linus Pauling Jr. 1963. For their part, mainstream journalists had finally begun to take a more amicable and celebratory approach to their portrayals of Pauling than had generally been the case since the announcement of his Nobel win in October. Articles sought a more personal reflection of Pauling while not completely ignoring the earlier controversy. 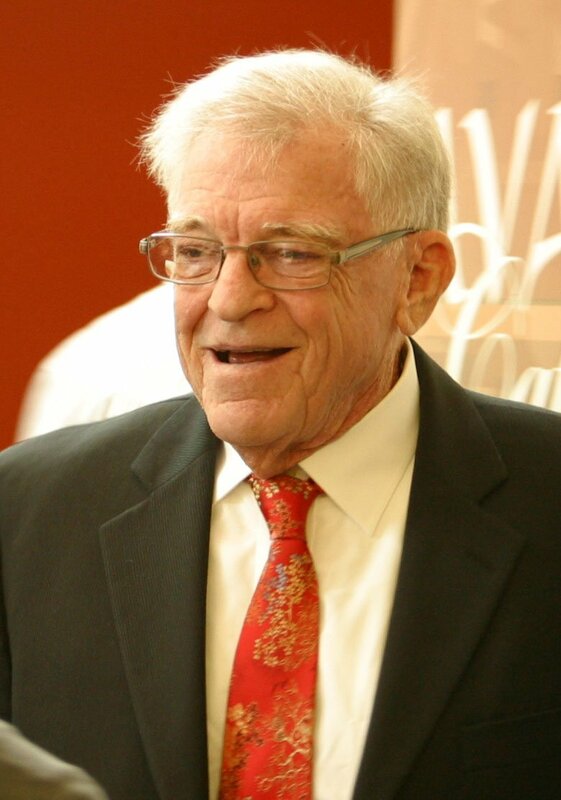 When asked what inspired his father to engage in peace work, Pauling Jr. said that “innately, he has always been a humanitarian.” His aversion to hunting and his resistance to Japanese internment during World War II were submitted as past evidence of these humanist proclivities. Ava Helen Pauling also was a major influence on her husband according to Pauling Jr. Of particular importance was her work with Union Now during the early war years – an activist platform that called for world government as a tool for mediating international issues between nations. Conducting interviews in the living room of the Pasadena home, 1963. James McClanahan, photographer. The following day, an Associated Press article that centered on Pauling’s life and his “book-and-paper strewn den,” came out in papers across the country. With the Nobel ceremonies only two days away, the headlines that ran with the article insinuated something big, with variations of “Pauling Hints at Surprises in Oslo Speech,” “Linus Pauling Promises Speech Shocker,” or “Pauling Predicts Shock.” The actual feature article, written by Ralph Dighton, was less sensational. In his piece, Dighton also spoke to Pauling’s decision to leave Caltech in favor of the Center for the Study of Democratic Institutions. 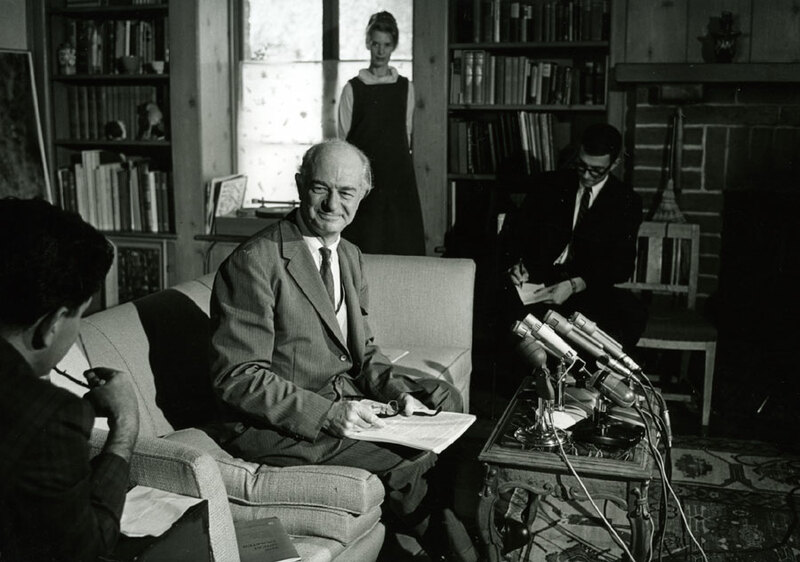 Pauling avoided any discussion of problems at Caltech and instead explained that receiving the Nobel Peace Prize was an opportunity and his decision to leave was a direct consequence of his prize. 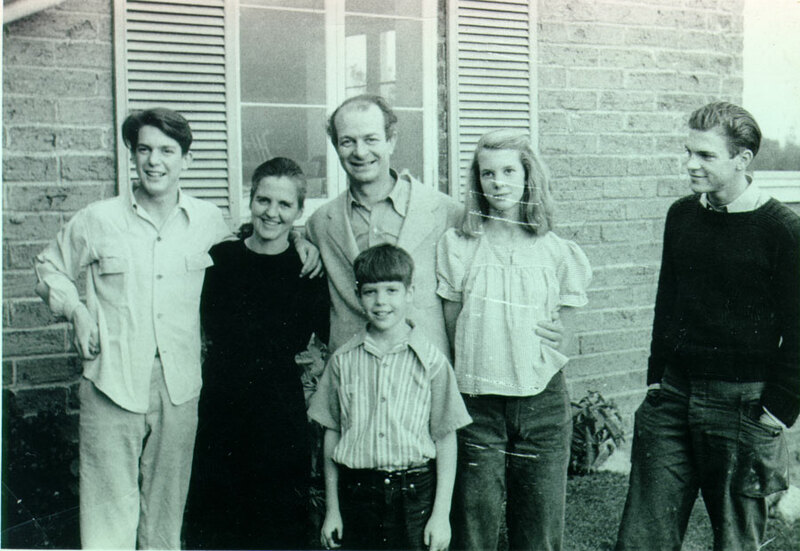 At the Center, Pauling would have more freedom to focus on his peace work and international affairs while also continuing to delve into the molecular basis of disease. Arrived in Oslo. 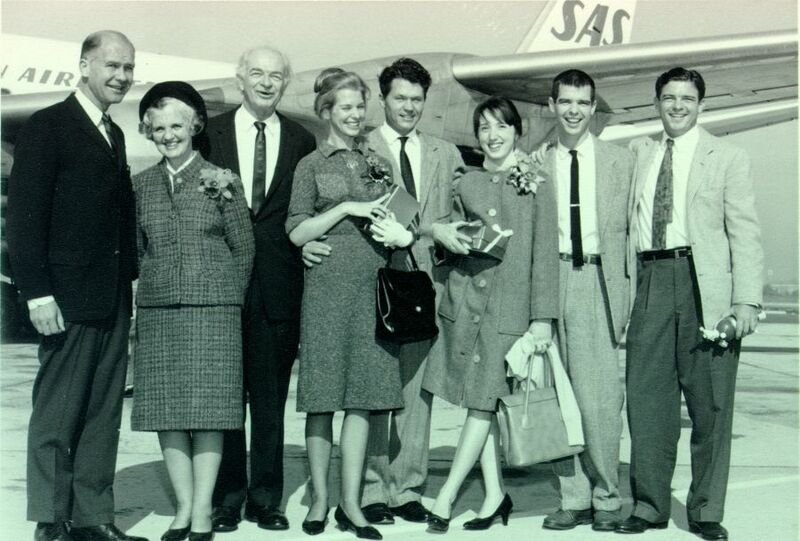 From left, an SAS official, Ava Helen and Linus Pauling, Linda Pauling Kamb and Barclay Kamb, Lucy Pauling, Crellin Pauling and Linus Pauling Jr. December 1963. As Pauling set his sights on Europe and the spotlight of international attention, he left behind a busy office. His assistants Helen Gilrane and Katherine Cassady, who had typed up numerous thank you letters and helped to coordinate Pauling’s increasingly busy life over the previous two months, continued to assist Pauling from a distance. 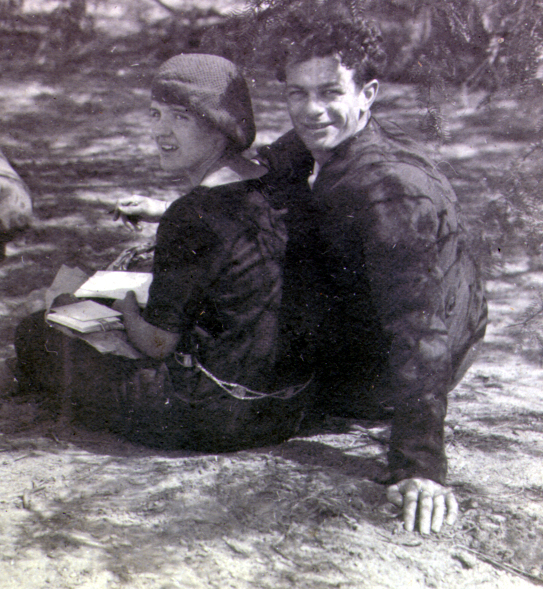 Both kept on answering Pauling’s unceasing correspondence while also working out the details of his still-unfolding trip. For her part, Gilrane responded to Bertrand Russell among many others, telling him that Pauling would be unable to respond right away. Communications of high importance were forwarded to Pauling in Norway; others had to wait until his return in January. Pauling also benefited from the help of friends in Norway. 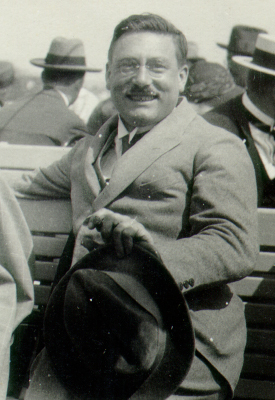 Otto Bastiansen, a Norwegian physicist and chemist, worked out much of Pauling’s Scandinavian itinerary, deciding where he would lecture and with whom he would meet. 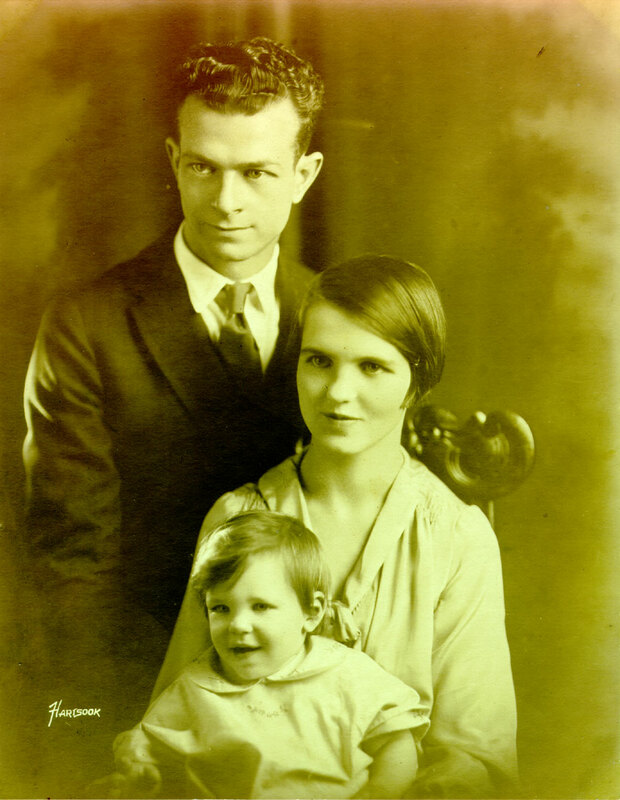 Since the entire Pauling family, including the children’s spouses, was coming, Bastiansen had to work out how they might be involved in activities as well. The Paulings’ first event happened almost as soon as they landed in Oslo on Sunday, December 8th. 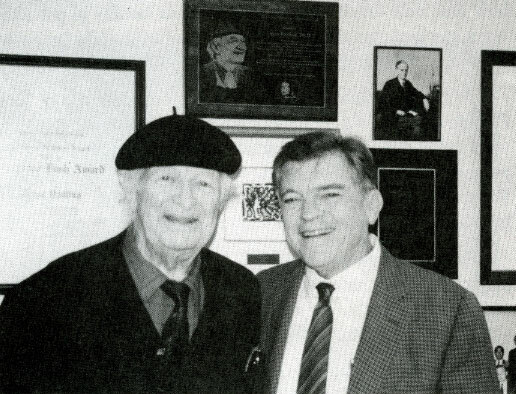 Ignored by the U.S. embassy or any other official representative from his home country, Pauling was welcomed at a private party held at the home of Marie Lous-Mohr, a Norwegian Holocaust survivor and peace activist who had also helped to arrange Pauling’s schedule. I think awarding me the prize will mean great encouragement to the peace workers everywhere, but particularly in the United States, where there have been so many attacks upon the peace workers… For some time it has been regarded as improper there to talk about these things. I think this is about the best thing that could happen for the movement. The next day, Pauling would receive the Nobel Peace Prize for helping alert the world to that peril. We’re dedicating the entirety of this month to celebrating the release of the new book, Ava Helen Pauling: Partner, Activist, Visionary, the first biography of Ava Helen Pauling, now available from the OSU Press. In the coming weeks, readers can anticipate lengthy excerpts from this exciting new publication, but for today and next week we offer an exclusive interview with the book’s author, Dr. Mina Carson. 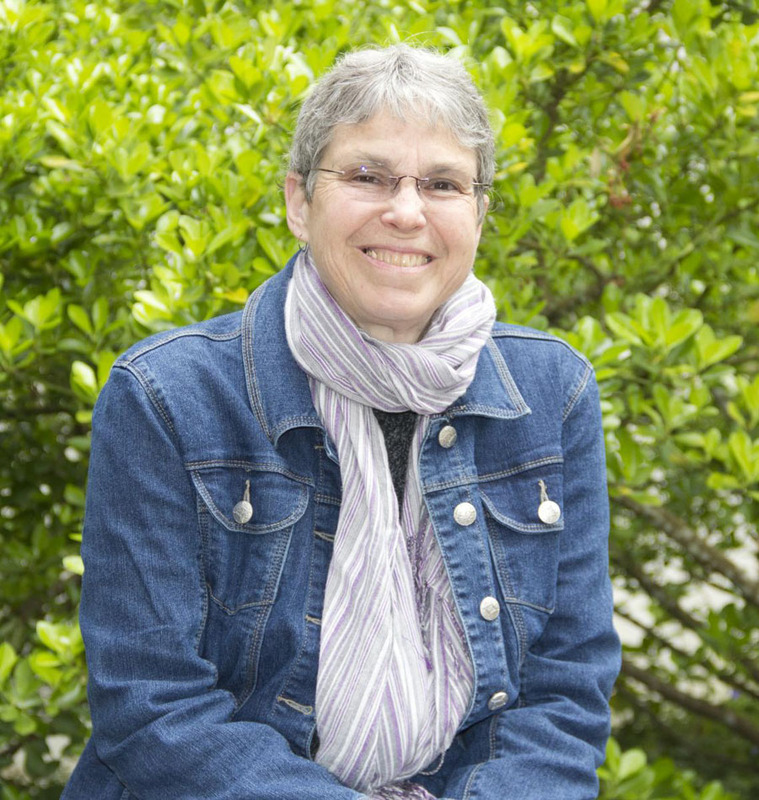 Dr. Carson is an Associate Professor of History at Oregon State University and an alum of the Special Collections & Archives Research Center’s Resident Scholar Program. Transcribed video of her 2009 Resident Scholar presentation, “Hidden in Plain Sight: The Life of Ava Helen Pauling,” is available here. 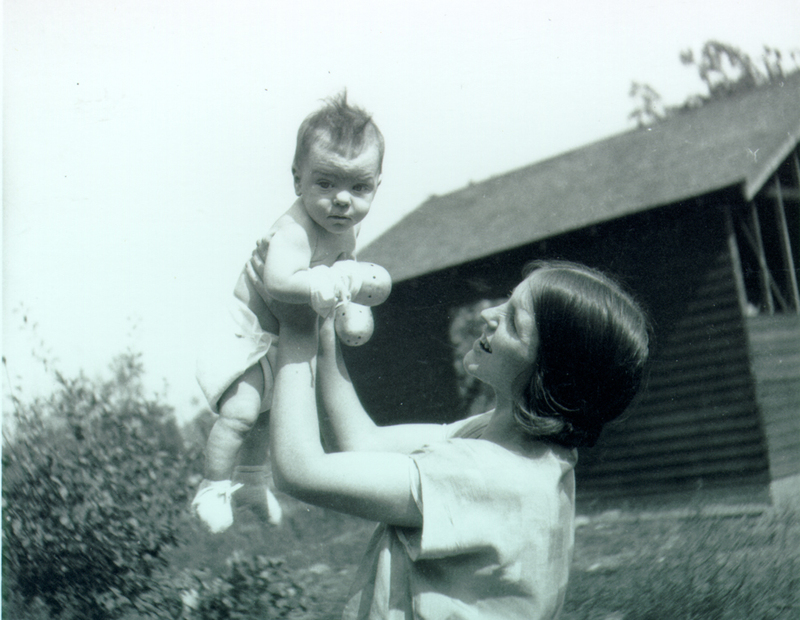 Pauling Blog: What was the genesis of this book? Mina Carson: Really and truly the genesis was that I ran into a graduate student, Linda Richards, in Milam Hall in the upstairs hall and she said “did you know that nobody has worked on the Ava Helen Pauling papers and that the [OSU] Press may be interested in publishing a biography?” And I thought, “that’s very interesting.” And she knew that I was interested in peace studies and she knew that I was interested in women’s history and we had worked together on a course before. So I came over and looked at the papers and chatted with the Press and that was that. PB: Had you any concept of Ava Helen before then? MC: No and in fact I looked up Trevor [Sandgathe]’s Wikipedia article and that’s all that was out there. 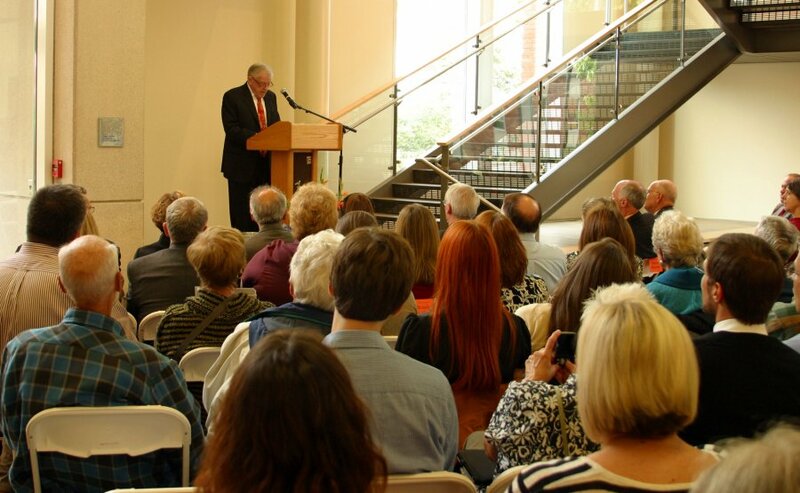 I had worked as a faculty member when I first came here in the early ’90s – I came in ’89 – but in the early ’90s I was appointed to what was then the Ava Helen Pauling Peace Lectureship when Linus was still with us. And for a year I was actually chair of that and so I knew about Ava Helen from that experience. But nothing, I didn’t know anything, I had no concept of her personality or activities or anything like that. PB: Can you talk about your research process once you started in on this project? MC: Yes, it was actually very funny. The process itself began in a very, in retrospect, humorous way because the summer that I started doing research I broke my wrist. And it was, fortunately for me, the left hand which I don’t use but I started with her general correspondence, not the very personal family stuff but the general alphabetized correspondence and I started by trying to read the letters into a dictation program. And I came up with some very funny wordings and so I quickly figured out that that was not going to work and fortunately I quickly got my typing hands back again. But I started with the general correspondence and that was not a bad idea because it really gave me a sense of the overall list of her correspondence and it also plunged me into her adult life. So I really did get a pretty quick exposure to the range of her correspondence in her 40s, 50s, and 60s and maybe even 70s actually. Dr. Mina Carson, Spring 2013. And then I went back and read the love letters which are, of course, largely from Linus to Ava Helen. But that also was just a complete eye-opener, it was so much fun because I could picture where they had been here on the campus. And then I just dropped into various places, filling in the blanks. I did this in a very non-linear way, which is sort of my way when I research, and I finally figured out that I needed to look at the family financial stuff. And that was wonderful and filled in a lot of blanks and also gave me a sense of how the Paulings lived, because your priorities come popping right out in your financial records. And finally I went beyond – so as I said, extremely non-linear – finally I went beyond the wonderful collection of photos that are accessible on the web and went into the physical boxes of photographs and, wow, that filled in a ton of blanks for me. What I learned from that, that I hope to keep in my mind, is that the photographs create a narrative; they’re not just a sub-narrative and in some cases they’re a parallel narrative. 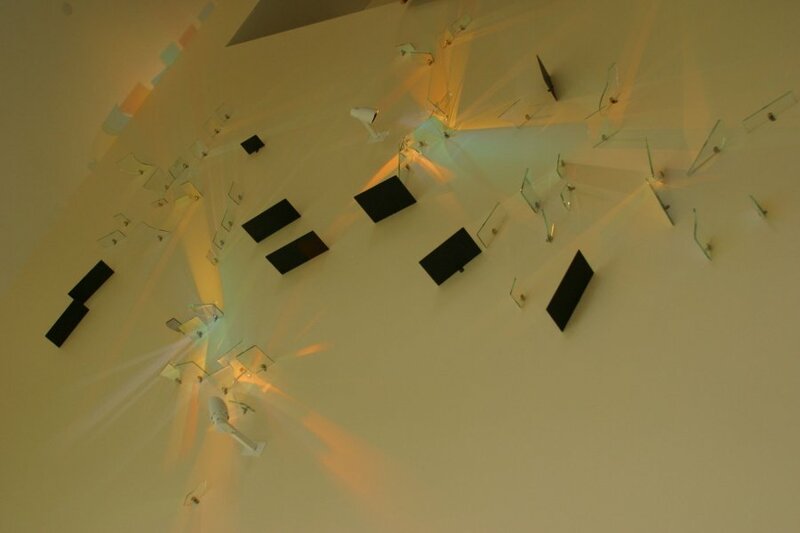 But they really are a narrative in and of themselves partly because they were so well cataloged and also partly because you see people, faces, and you make connections that you didn’t have before. You know where people were in particular years, for example, or what schools the kids went to. That was very helpful. PB: And one of the interesting and somewhat unique aspects of the book is that it does intersperse a lot of photographs throughout the text rather than just having a couple sections of photos. It’s kind of dedicated all throughout. MC: Yeah I really wanted that. When I’m reading a book, I keep the photos section for a special treat, you know, and I was tempted to do what I do myself. But then I decided that definitely was not the way to go because there are so many parts of her life that are not really accessible in the papers but that the photographs do fill in. So having the photographs available all the way along was really helpful; I thought they’d helped the reader to picture people. PB: You gave a talk in 2009 where you asked the question “how does the biographer write the life of a wife? Especially one so infused with the work of her husband?” How did you go about trying to answer that question? MC: It’s a question that honestly I’m still working on. And in fact, one of the early manuscript reviewers said that – say she – could just see me all the way through the manuscript saying “oh wait no, it’s not a biography of Linus! Oh wait no, it’s a biography of Ava Helen, I have to focus on Ava Helen!” And that reviewer actually wanted more information about Linus to get the whole tapestry in there. One of the things I tried to do – and this really is kind of my thing, it’s what fascinates me – is I tried to knit together her external interests, her public interests with her private interests. And since she never held elected office, although she was an officer of a major peace organization for a brief time, she never was a public figure in particular. It wasn’t challenging to tell her public story but it was really easier to tell her story as a private person who developed a public side as her passions for various causes became more pronounced through her life, and as she became clearer about who she was in relation to her marriage. So her public persona became more pronounced as she got older. She hadn’t started as a public person and then buried it, rather the reverse. But the challenge was how do you tell the story of a wife? And the story was she was a wife, first and foremost, and in a sense fortunately. Although she had a very strong personality, she married a guy who really did want her to be front and center if she wanted to be. At least that’s who he was by the 1950s. That doesn’t really answer the question very well, but it was a struggle. It was a struggle to try and balance Linus’ huge personality and public presence with the real sparseness of records for Ava Helen. And fortunately her personality emerges so strongly through the records that I could at least sketch in a little bit of who she was and reconstruct her record from there. PB: You talked a little bit about a shift in Linus’ perspective towards his wife’s public persona – maybe that’s not characterizing it quite right – but do you see evidence that there was some sort of a mutual agreement beforehand where she would keep a lower profile? That the two of them had agreed that she was going to stay in the house and raise the kids and there was a shift at some point? MC: Linus seems to go in different directions on that. I mean there was one point in their early correspondence, their courtship correspondence, where he actually says “so are you going to study science and take a Ph.D.?” And I don’t know that he was just fooling around. He always believed – and bless his heart, because it’s not particularly true – but he always believed that she was brighter than he was. And I think in his heart he knew that he had the kind of mind that was a world changing mind. And that she had a really quick intelligence, without the kind of major suppleness of his. And so she could have, I think, done any number of things. And later in her life she decided that she maybe should have, or at least had dismissed her possibilities too fast. And I think that’s right. I think that’s particularly correct because mothering is not the thing – I mean she made a job of it but not always a good job, it wasn’t really her thing. But I think that Linus, had she said “you know what, I need us to devote some of the family resources to my finishing college and I need to be a teacher or I need to be a lab assistant or I need to be a professor,” he would have probably said “okay then, let’s go in that direction.” That’s my guess. I think it was her set of priorities that she had, in a sense, hammered into herself and had hammered into her by the culture that a woman’s duty was to her husband and to raise beautiful, healthy children, that she kind of went in that direction. And led him to assume that she was going to do that. And also I think it’s clear that she made it her job to push his career and that fit the culture for women at the time. I mean, to be ambitious for your husband was a fit with American culture at that time. So she kind of settled for that but, you know, you just watch her with these toddlers, you watch her with Linus Jr. in the early years, and she just doesn’t know what to do with this kid. And then you watch her with toddlers and she is overwhelmed at one point by three toddlers basically, three little kids, and it’s like, that’s not her thing. It’s just not her thing. She does it with energy and resolutely but it’s not her thing. PB: Yeah. And then when Crellin came around it was really not her thing. MC: No, exactly. And that really was unexpected and not particularly welcomed by her. PB: Well this leads into the next question. The book is in part a family biography and that’s one of its strengths; could you talk a little bit about the family dynamics? MC: Oh wow, yeah. I think, like most biographers, I didn’t look for the places where I connected with my own experiences but you feel them as they come along. And one of the places is – and a minister at the Unitarian church here in town helped me understand this in the context of the Pauling history, which was that they joined the Unitarian Fellowship in Los Angeles in the early ’60s but they connected up with that church in the ’50s. And they really, interestingly, represented a very strong cultural strand of humanism in the middle of the 20th century. And part of that was an emotional style and a family style. It was rationalist: the kids will emerge as good citizens if we just give them good educations and launch them out on their own. And so a lot of the lack of warm fuzziness in that family jibed with the kind of ideology that they had absorbed or were comfortable with in terms of raising children. So the kids are really left very much on their own. The parents worry about them, they’re proud of them, they have concerns – are they really going to use their capabilities to the fullest extent? They worried about Linus because at one point Linus Jr. had – what was it, it was hilarious – I think it was an accordion for heaven’s sake and he wouldn’t practice. Well who of us had not had a kid who wouldn’t practice the accordion? I mean who would? But this was a serious concern for them. And so Linus Jr. – and he’s told us this time and time again – Linus Jr. grew up with the assumption that he had to be a scientist. That was what he was expected to be, and of course it wasn’t his thing. He remembers actually reading psychology very early on and finding it fascinating but he was also interested in history and social science, he was a literature guy and none of that was really rewarded in this family. Plus his education was interrupted by World War II and all the confusion around that, so he never was allowed to, in a sense, put down roots in one place. And I think the longest he probably spent anywhere after Polytechnic in the early years in Pasadena was Harvard Medical School. So Linus Jr., the oldest child, had to emerge as his own person pretty late in life, and with a lot of kind of discouragement, both subtle and overt, from his parents. A lot of worry over who he was and who he was going to be. And actually, I have to admit, this was very much my parents’ approach to life too and it’s a cautionary tale for me as the parent of teenagers. I watch Linus and Ava Helen raising Linus Jr. and the other kids and think “oh boy, I’ve got to start doing things differently at home.” Because all three of the boys came out with really kind of low self-esteem shall we say, wondering how they could ever fulfill the Pauling expectations. And part of it was Linus and part of it was Ava Helen, a big part was Ava Helen. And when her kids did not perform to specs she was tough, she was scornful, she had expectations. A lot of parents think that’s what we’re supposed to do as parents but having become very familiar with that family I have my doubts. PB: Well there is a sense that Ava Helen may have come from a somewhat difficult background herself. It’s not as well documented. MC: It’s not well documented at all. She was eight or nine when her father left the household so she was very young. Her sisters reported quite late in life that she was the favorite of the father who vanished but she never tracked him down. She met him, I think, maybe once more when she was a young woman and had just married Linus but there is no track record of her trying to reconnect with him, even though she apparently ends up with his politics, which is interesting. 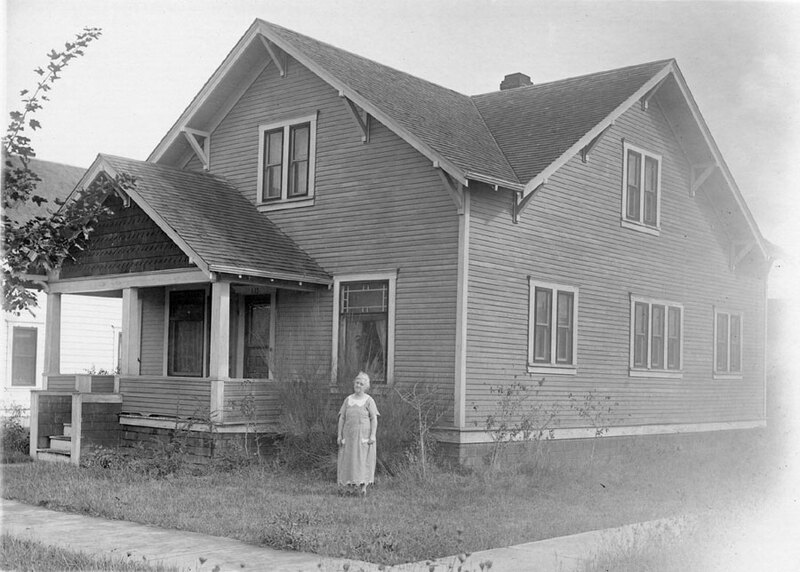 Nora Gard Miller in front of the house that she maintained for her children on S. 15th Street, Corvallis, 1924. I think her mom was a huge influence on her but I also think her mom was a heck of a lot more easy going in many ways than Ava Helen. But what her mom apparently instilled in her dozen children was a respect for education. I don’t know where that family got its resources but most of the kids went through OAC. 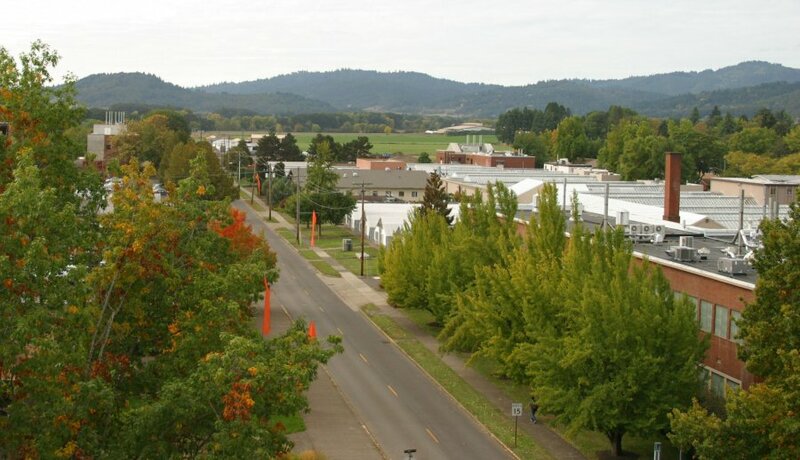 Granted, Oregon Agricultural College was, relatively speaking, a lot cheaper than Oregon State University is today. 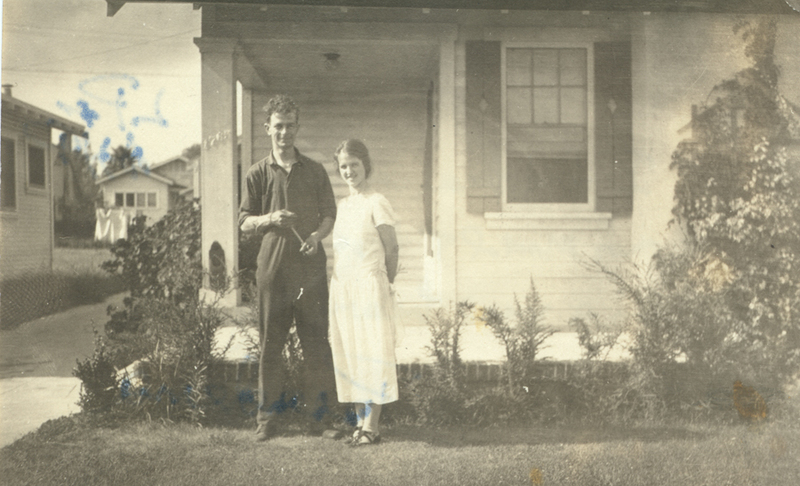 But still, her mom came to Corvallis and rented a house here, while four or five of her kids went through school including Ava Helen. 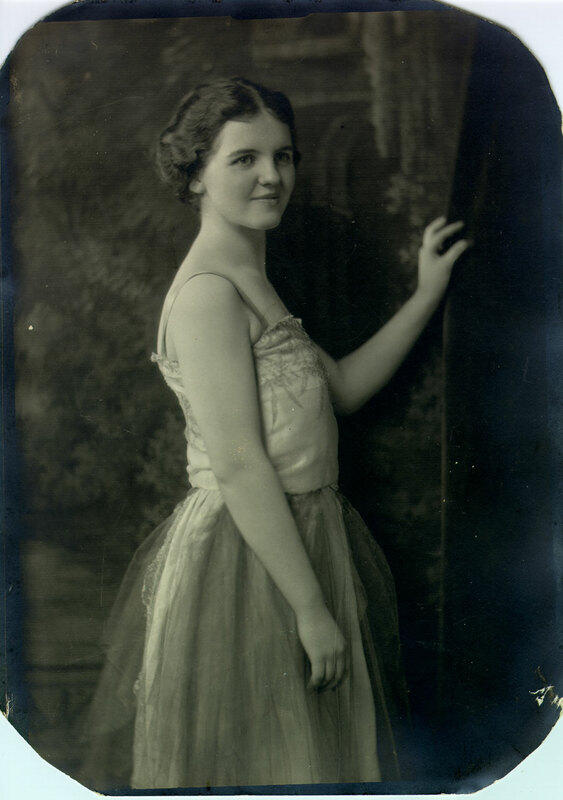 And she discouraged Ava Helen from an early marriage, wanting her to finish her undergraduate career. The family history on her side is really sketchy. I think her sisters, particularly after she married Linus, kind of wanted her to stay in touch; there were polite sisterly relations among them. But Ava Helen also, I think, was a bit snobbish about the rest of her family and that was a point of difficulty. That really was. Ava Helen Pauling: Partner, Activist, Visionary is available for purchase from the Oregon State University Press.